Associate Professor Maja Krzic has been leading a transformation in online soil science education. She won an Award for Excellence for establishing the Virtual Soil Science Learning Resources (VSSLR) group which involves 30 Canadian soil scientists, media developers, students, and educators focused on developing open access tools. So far the group has created 18 open online tools, adopted by more than 27 Canadian and 15 international post-secondary institutions. Krzic has been developing open online tools in the areas of soil science, agriculture, forestry, land management, and natural resources since 2001. BCcampus, a provincial organization that supports innovations in post-secondary education, gave the award. Assistant Professor Crystal Karakochuk received a Thrasher Research Fund Early Career Award. This program supports young researchers in developing their pediatric research. Karakochuk received the award for a project examining the pros and cons of using high-dose folic acid supplementation in children with sickle cell disease. 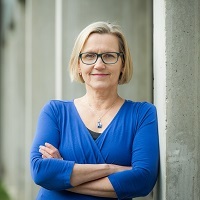 Professor Marina von Keyserlingk won a DeLaval Dairy Extension Award from the American Dairy Science Association (ADSA) at their annual meeting in Knoxville, Tennessee. This award recognizes her valuable and long-term contribution to the dairy industry in the extended areas of production, manufacturing, marketing, and/or youth work. Assistant Professor Juli Carrillo and research partners Terramera, a Vancouver company, and Zamir Punja, an SFU Professor, won an Ignite award from Innovate BC. They are developing a safer generation of plant-based pesticides derived from Neem and Karanja oils. Innovate BC, a Crown agency, supports researchers and industry in accelerating the commercialization of promising products through its Ignite program. UBC has awarded Parm Bains (BSc Agr ’79) an Alumni Builder Award to recognize his mentorship, passion for agriculture and commitment to the excellence and sustainability of the Faculty of Land and Food Systems. Bains is President and CEO of Westberry Farms, and he provides leadership to LFS in his role as chair of the Faculty Advisory Board. The Alumni Builder Award recognizes a cross section of alumni representing all faculties who have significantly contributed to the University and enriched the lives of others, and in doing so, have supported alumni UBC’s mission of realizing the promise of a global community with shared ambition for a better world and an exceptional UBC. Veronika Bylicki (BSc GRS ‘17) received the Emerging Leader Award from the Real Estate Foundation of BC. This award recognizes the impact that a new leader is having on land use, conservation, or real estate in B.C. Veronika is the co-founder and co-director of CityHive, a Vancouver-based organization that provides opportunities for civic-minded, city-shaping youth to get involved in their cities. Roy Tam (BSc Agr ‘98) has recently joined the alumni UBC Advisory Council. Tam is Senior Director of Research and Development at Nature’s Path Foods based in Richmond, B.C. He leads a team of Food Scientists, Nutritionists, and Specifications team members. Tam develops innovation pipelines, drives margin improvement initiatives, and oversees consumer and market research to support the success of new product launches. Eunice Li-Chan, Professor Emerita, received a 2018 Emeritus Award from the Canadian Institute of Food Science and Technology (CIFST). Li-Chan was recognized with an honorary title for contributing meritorius service to the food industry and the CIFST. 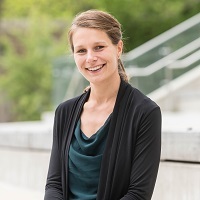 Caroline Ritter, postdoctoral fellow, has won the most prestigious postdoctoral award in Canada, a Banting Postdoctoral Fellowship. This award attracts and retains top-tier postdoctoral students in Canada and helps position them as leading researchers of the future. 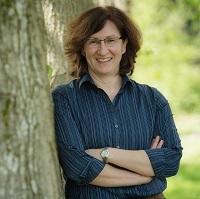 She will be researching the social networks of dairy farmers with Professor Marina von Keyserlingk. Karen Lee is the new Marketing & Communications Director in the Faculty. She looks forward to promoting our alumni and student success stories, our outstanding programs and research, and finding opportunities to bridge our work with external communities. 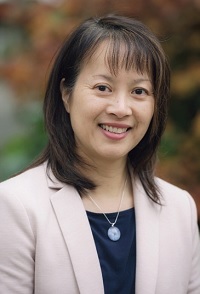 Prior to joining UBC, Lee worked in higher education for seven years, and has experience in the not-for-profit and private sectors. She graduated from UBC with a Bachelor of Commerce degree. If you have an intriguing story, please connect at karen.lee98@ubc.ca. 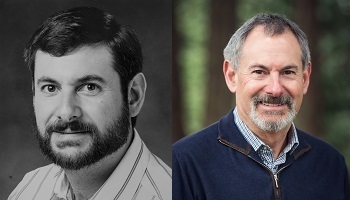 Isman first came to UBC as a student, receiving his BSc and MSc in Zoology in 1975 and 1977, respectively. He joined the Faculty as an Assistant Professor in 1983, and was promoted to full Professor in 1994. He served as Dean from 2005 to 2014. Under his leadership, the Faculty launched three new professional master’s programs – Master of Food and Resource Economics, Master of Food Science and Master of Land and Water Systems – and the undergraduate program in Applied Biology. Undergraduate enrolment also rose by 40% during this time and 14 new faculty members were hired. Since stepping down as Dean, he has served as the director of the Applied Biology program and is currently the interim director of the Wine Research Centre. An internationally recognized scientist, he performed extensive research for over 35 years in the areas of insect toxicology and behavior, with particular emphasis on the discovery and development of botanical insecticides. He has authored over 200 refereed publications (cited more 16,000 times), including 28 book chapters, and co-edited two books. He also serves as a consultant to the biopesticide industry. In 2011 he received the Gold Medal for outstanding achievement from the Entomological Society of Canada and was elected a Fellow of both the Entomological Society of America and the Royal Entomological Society (London) in 2014. He also received a Lifetime Achievement Award from the Professional Pest Management Association of B.C. Traviss received her BHE Dietetics 1979 and MSc Human Nutrition 1998, both from UBC. She joined the Faculty in 2003 as an Instructor and was promoted to Senior Instructor in 2008. As the Dietetics Program Coordinator, she spearheaded substantial improvements and growth for the program, and has shared her dedication and passion in educating future dietitians.